These will attract additional charges. 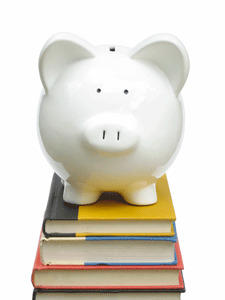 Spending several hundreds of dollars or more is not unusual in Year 7 and can easily double for Year 12 when the number and cost of books increases. Some schools may use class sets of required textbooks, operate hiring schemes (where students borrow their books from the library for a full year) or hold textbook fairs where students can sell and swap books they need for the following year. Students will also need a store of basic learning equipment, which, depending on the school, may comprise anything from stationery and a calculator to a laptop or tablet. Subject areas such as the visual arts require extra materials. In government schools, some additional payments are required for essential materials and services, but they are charged only on a voluntary or 'user-pays' basis. Some schools have mix-and-match uniforms, which are unlikely to cost more than any other kind of clothing. A few schools don’t require a uniform at all. Others prescribe very costly clothing. Most schools with uniforms have strict policies about students’ presentation. Full school uniforms for summer and winter, covering everything from shoes to hats, plus physical education (PE) and specific sports gear can easily cost $500 or more. Many schools have uniform shops, clothing pools or exchange schemes, which make second-hand clothing a cheaper option. No matter what your view on uniforms and their cost, they are important to many parents and educators. Uniforms often stand for some of the things that parents care about and find most difficult to define: discipline, style and values. These services can range from before-school and after-school care to maths coaching or piano lessons and are usually charged on a user-pays basis. Keep an eye out for notice boards at schools or message boards on the school’s website for details of tutors offering extra tuition. Tertiary students may also be willing to help, often at a lower cost than a professional tutor. Some schools may also offer revision sessions in Years 11 and 12, which may be run by external organisations (such as local universities) and may attract additional costs. These types of activities can be compulsory, although many are not. Schools may offer subject-specific trips (such as for outdoor education programs) or, in some cases, international study tours. Camps and trips are often more expensive at the costly private schools. Overall, costs range from just a few dollars to several thousand.